Are you up for a worthy challenge??? 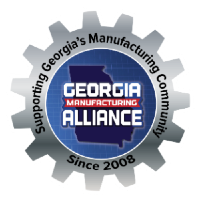 Our goal is to reach 360 manufacturing members by the Summit on October 9th! You have a unique opportunity to actively participate in the growth of GMA and have a positive impact on your friends and colleagues. The GMA 360 Membership Drive is focused on growing the manufacturers in our organization to 360 active members. Below you will see our current membership level and we update this number as we add new manufacturers as GMA members. The leaders of our networking sessions have stepped up to the challenge and are competing to have the most growth. The results are shown below. In May we will have a huge celebration as we recognize the winners - The "Steak and Beans" dinner. The leading chapter with more than 20 new manufacturing members will be served steak while the losers will get to enjoy a light meal of beans. If you are interested in participating in this fun contest, add your name to the list below. All 360 members will receive special communication and tools to help during the contest. FREE AGENT - For anyone who refers a new member during the contest period that is not an active member of a networking chapter.